Connecticut has sprung from its winter hibernation ready to take on sports betting. Connecticut is known for its tribal-run casinos but how will the relationship between tribal gambling entertainment, state licensors and regulators, and online gaming providers be affected by introduced sports gambling bills. We explain, but first, one must understand that Connecticut has long been in the background for passing sports gambling legislation. While 2018 did not see the legalization of domestic sports betting in the state, 2019 shows a more favorable climate for passing sports gambling legislation. One CT sports gambling bill known as LCO 578 was introduced in the 2019 legislative session on January 11th and is a bipartisan bill. Bipartisan bills are likely to pass due to support by both party members. Senator Cathy Osten (D) has given her support for the bill, as well as, co-sponsored it. Other members of the Southeastern state legislative submitted the bill in hopes of amending current state laws. The bill’s other 11 sponsors include Paul Formica, Susan Johnson, Doug Dubitsky, Mike France, Holly Cheeseman, Heater Somers, Joe de la Cruz, Christine Conley, Emmet Riley, Steve Cassano, and Senator-elect Needleman. The bill introduced, if passed, would permit online and physical wagering. It would also place a minimum age restriction to players at least 21 years of age. Wagering could be made in-person or online but would include age and identity verification requirements and features. However, Connecticut faces several issues concerning who will and/or can run sports betting operations. Currently, the native tribes which own a great deal of casino presence in CT want the exclusive right to offer sports gambling. Sportech Venues which operates CT’s off-track betting facilities wants to offer sports gambling, as well as, MGM Resorts, another large casino company hoping to establish a property in CT has played with the idea of offering sportsbooks. Connecticut is surrounded by states which have pending or already launched state-licensed domestic sports gambling offers like New Jersey and Rhode Island. Some of which are online and offered through mobile devices. If Connecticut would like to retain domestic state dollars, they need to act fast and legalize CT-licensed and based sportsbooks for physical wagers and online services. Senator Osten is excited about the competitive push and has been quoted saying, “Connecticut needs to play catch-up with surrounding states if we’re serious about modernizing our existing gaming industry. Fortunately, we can do that with a relatively simple regulatory fix”. 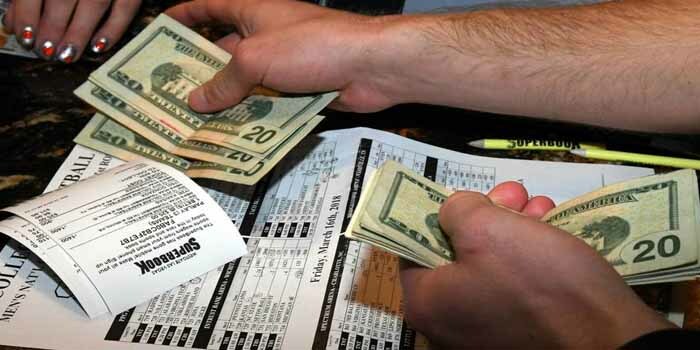 Bill LCO 578 is a simple outline of a sports gambling bill but is sure to fill out with more details as the 2019 session continues. Priorities are already laid out in the short document but need to be filled out with specifics. With support from the Deputy Majority Leader and Upper Chamber’s Deputy President, it is doubtful this bill will fail. However, the bill currently contains provisions which allow the state lottery to offer online Keno games which would require a revision to the tribal gaming compacts made between the state and two CT native tribes. Nonetheless, expect swift resolutions with anything concerning CT gambling as it seems this state wants to get a move on.